To coincide with the 40th anniversary of Roe v. Wade earlier this year, CNN asked its readers two questions: Have you had an abortion? How do you feel about it now? CNN had a whopping 539 iReports filed in response. Hundreds of stories poured in, as women shared their choices, their reasons, their grief, and rarely, their satisfaction. One thing was made abundantly clear by CNN’s efforts: women regret their abortions. And they need to talk about them. If only women would read such stories – hundreds of them – before making a choice for abortion. If only women did not have to look back in pain, regretting an unchangeable choice. If only, instead, they could look ahead to a bright future without death because they know the facts, know the heartache, and know the grief without having to experience them firsthand. My name is Stacy Massey and I am the President and Founding Partner of Abortion Recovery InterNational (ARIN), an international association of peer, professional and pastoral counselors helping families work through the emotional, psychological and spiritual pain of abortion. We receive over 100 requests PER DAY from individuals and families looking for after abortion help. Over 250,000 hurting people have contacted us just in the last 5 years. [T]he death of my own two children to abortion prompted me to “do something” to help others. Abortion trauma does not discriminate. It doesn’t matter how much money you make, where you live, the color of your skin or which gender you claim. The pain of abortion is everywhere. Abortion is NOT for women it is AGAINST us. No statement could be more true. 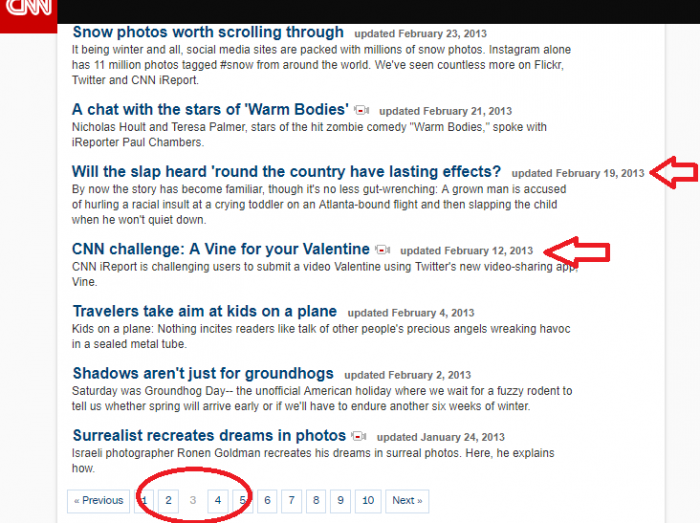 Editor’s Note, 3/18/19: The original links for this article appear to have been removed entirely from CNN’s database (2/15/13 or 2/16/13) as well as from its article index. The links in the article above have since been replaced with web archived links and downloaded PDFs. Additional stories here: New York Magazine and the BBC.